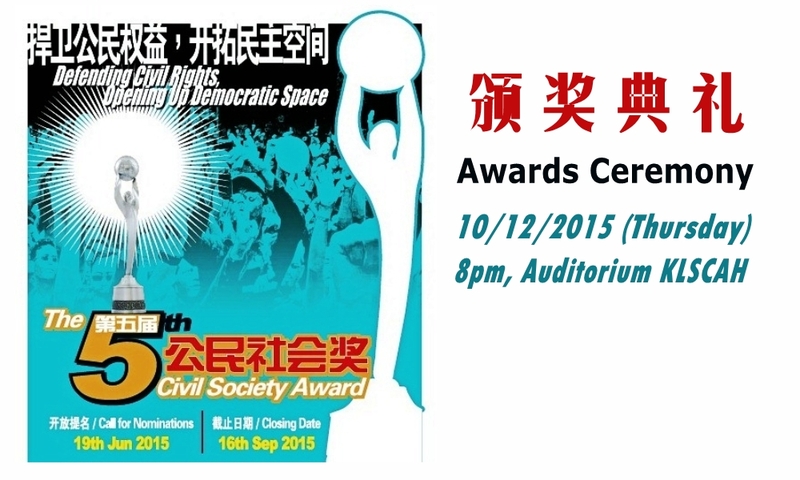 The KL & Selangor Chinese Assembly Hall (KLSCAH) will be having its 5th Civil Society Award ceremony on 10th December 2015, Thursday. The NGOs, activists and the public are invited to attend in order to acknowledge individuals and organizations on their contributions to civil society and to open up the democratic space. For further enquiry, please contact the assistant secretary of the KLSCAH, Chia Wei Loon, Tel: 03-2274 6645.